Clients have reported that Hypnotherapy has been helpful in successfully changing long-standing habits, and promoting a send of relaxation. It may help reduce blood pressure and stress levels, and may promote an easier pathway to reaching goals such as weight release, pain management, and smoking cessation. 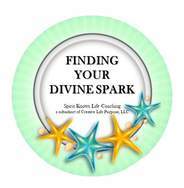 For more information about Hypnotherapy offerings, check out my other page(s): Spirit Knows Life Coaching OR Creative Life Purpose. Relying on intuitive guidance, through the use of Hypnotherapy (also referred to as Guided Imagery), I have been able to help people continue learning ways to connect to their own truths, transform their lives, and begin living their life on purpose. If you have any questions or concerns about the Hypnotherapy process, please review the FAQs. Because Hypnotherapy can be life changing, I really want you to feel comfortable and confident about the process prior to making your commitment and program purchase. Transpersonal Hypnotherapy can help you connect to your Wise Mind (your intuitive guidance), focus on your Body-Mind-Spirit connection, and help move you into your subconscious as a way to assist in removing barriers. Hypnotherapy has been shown to help reduce blood pressure and stress levels, and may also help individuals reach their goals such as weight release, pain management, and anxiety and stress reduction. Keep in mind that Hypnotherapy is not a "miracle cure" and there are no guarantees, as each person's experience will be unique; however, after a session many people report feelings of relaxation, perhaps even tiredness, yet also report feeling a sense of confidence, being more in control, feeling less stressed, and feeling more positive. Hypnotherapy may empower you to achieve changes you want to see in your life. Hypnotherapy can help with Anxiety Concerns, Stress Management, Energy Re-Balancing, Phobias and Fears, Weight Release, Improving Sleep, General Relaxation, Self-Improvement and Enhancement (personal and/or career), Health and Well-Being.